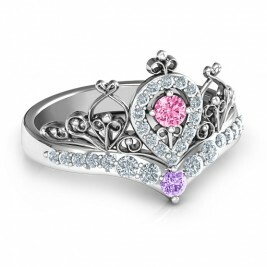 Main Stones: Two 4mm x 4mm Heart Cut Stones Secondary Stones: Three 2mm Round Stones Max Ring Width: 12mm Min Band Width: 2.5mm Max Band Width: 2.8mm.Celebrate a real-life fairytale romance with an enchanting double heart tiara crown ring! 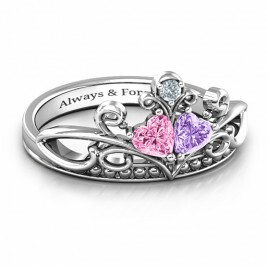 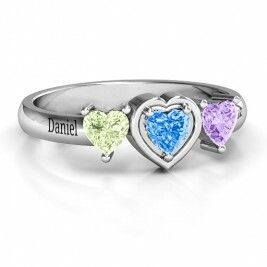 The ring features two side-by-side heart-shaped gemstones, perfect for representing two people in love. 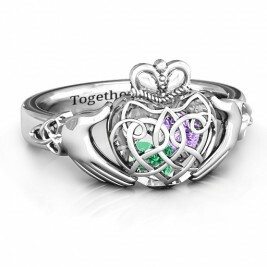 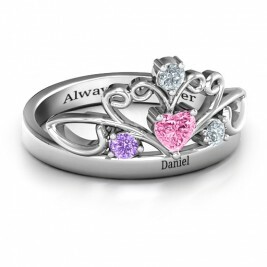 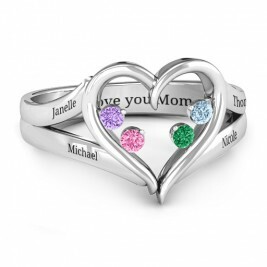 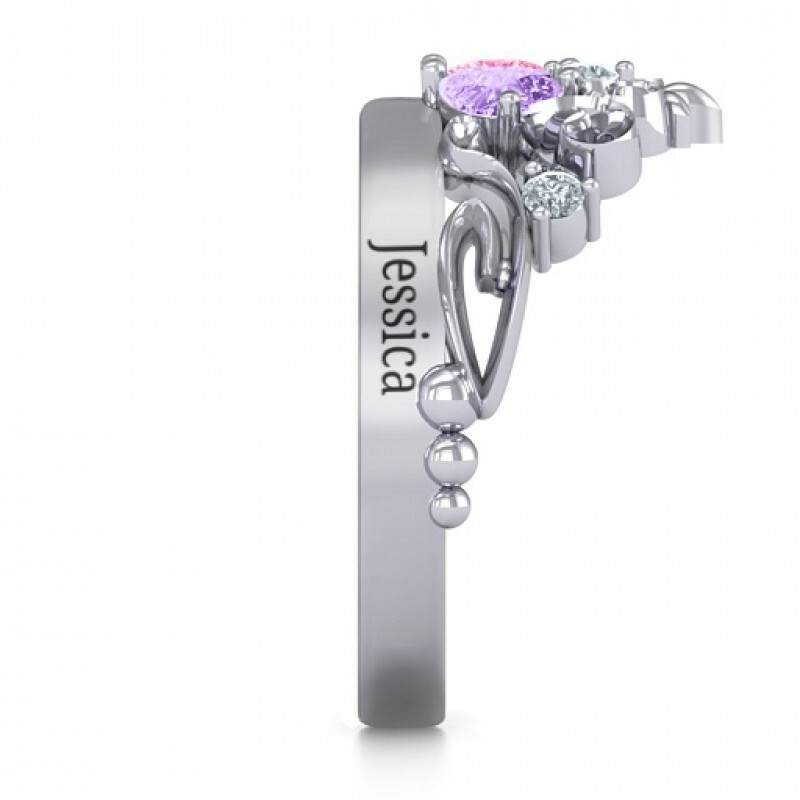 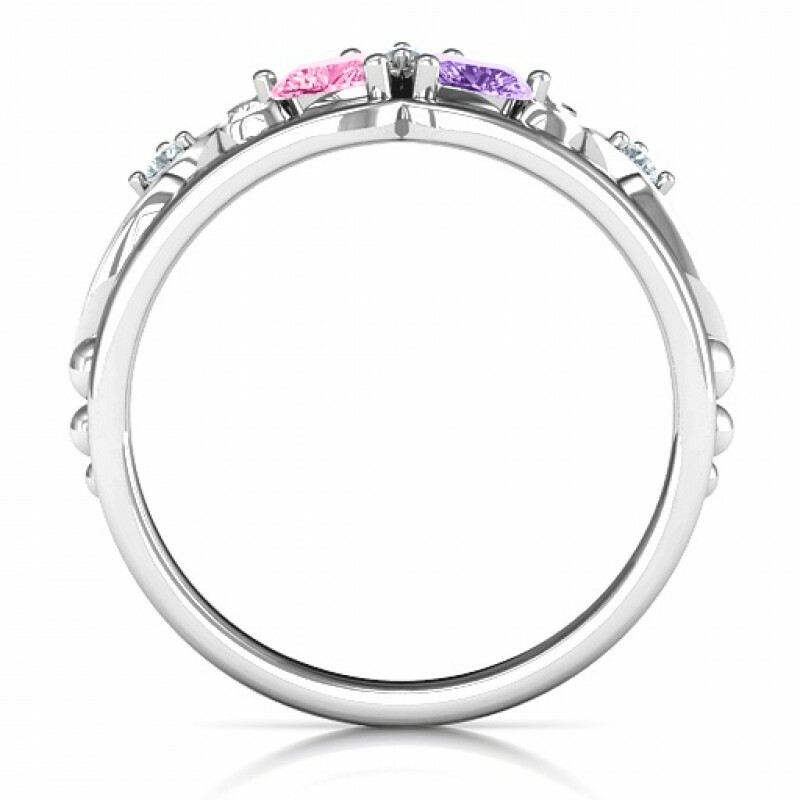 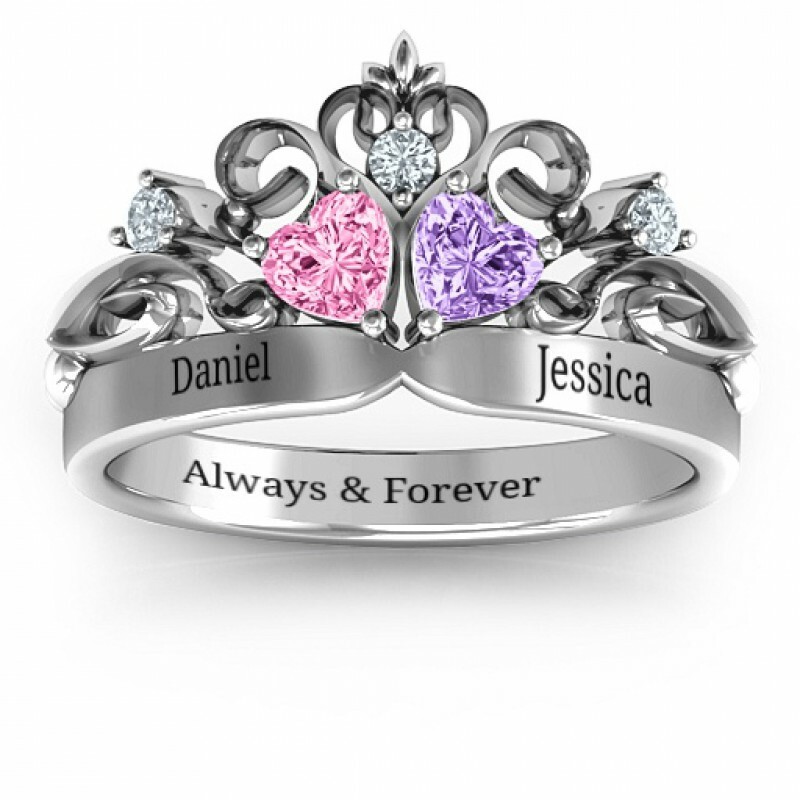 Personalise with your choice of metal, special birthstones and custom engravings. 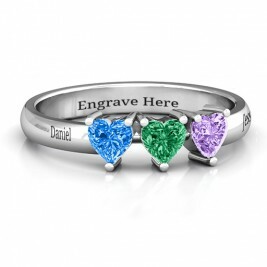 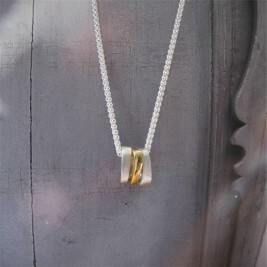 You can engrave names or dates on the top of the band as well as along the inside. 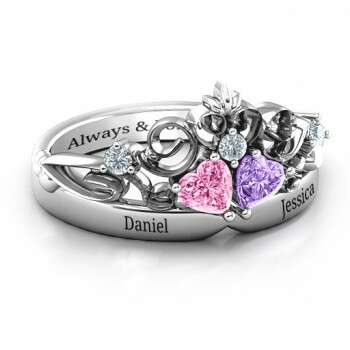 It's the perfect way to celebrate an anniversary, birthday or special occasion with your true love. 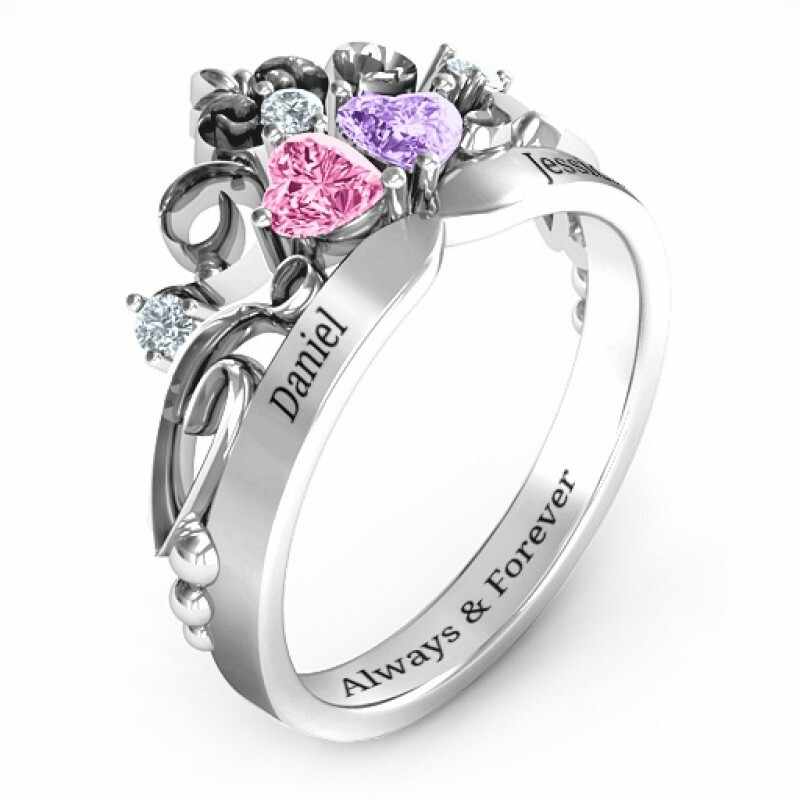 Choosing jewellery can sometimes turn out to be a very tedious process. 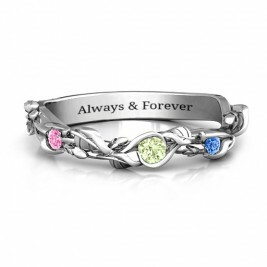 Even though that may make you lose a bit of your patience, make sure that it does not allow you to be hasty and make some choices that you will come to regret at a later time.